There was once a time when television shows were not that great and no big named Hollywood star would ever really consider taking the step down to the small screen, as it would be seen as a step backwards in their acting career. However, we have been given so many impressive television shows over the past few years, that it seems like every big named Hollywood star in the business would love to get a role on some of these small screen projects. When it comes to the best of the best on the small screen, it is fair to say that HBO has been giving us plenty of top television projects in recent years, many of which have gone on to become hugely successful on a global scale. 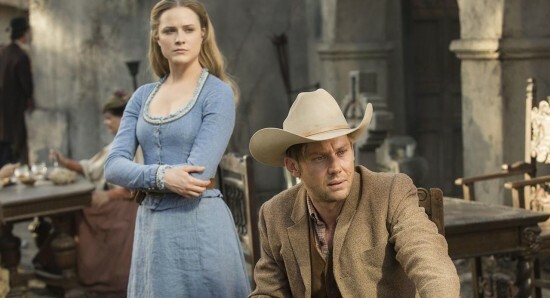 One of the most recent hit television shows that HBO has given us, is the very impressive sci-fi mystery drama Westworld, which has become a hugely popular series all over the world. Following the success of the first season of Westworld, it was no surprise when HBO confirmed that we were getting Westworld season 2. Actress Evan Rachel Wood is a hugely impressive Hollywood actress and she plays the role of Dolores in Westworld, with the actress being one of the key characters in the show and e cannot wait to see what happens with her in the new season of the show. Meanwhile, Evan Rachel Wood herself is clearly excited about Westworld season 2, with the actress posting regular pictures and updates on her official social media accounts over the past few weeks and months, sharing just how much fun she has been having on the set of the show and just how excited she is for the new season. Just not as excited as us!